Trying to use materials I already have I constructed my regency bonnet. 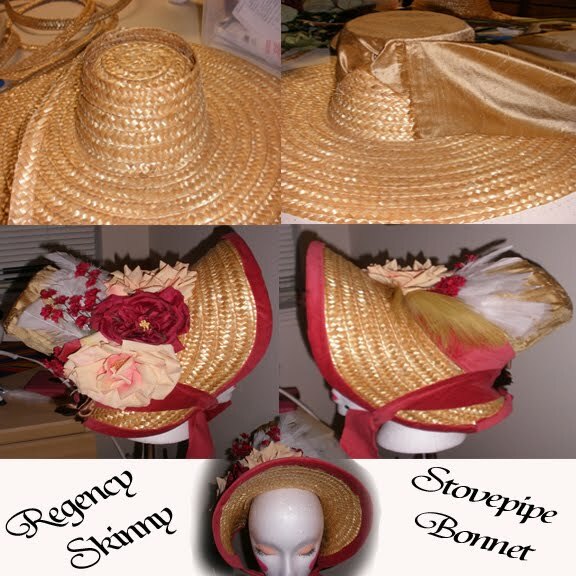 I wanted it to look like a stovepipe style bonnet but I'm afraid its a bit too skinny. Overall though I am please with it :) YAY hot glue! So excited about the 19th century tea coming up!!! and the fact that J is coming in FULL attire!!! I am looking forward very much to seeing pictures of both of you in full costume! I recently received the Versatile Blogger Award on my blog, Amphorae, and would like to pass it along to you in recognition of your lovely work. Thanks for posting!